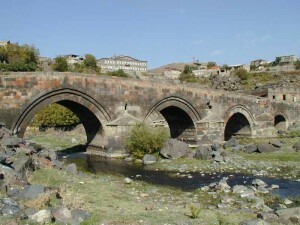 Viilage Oshakan is one of the most important sacred places in Armenia. 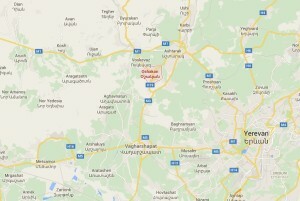 It is located in 6 km from Ashtarak town, and only 25 km from Yerevan. 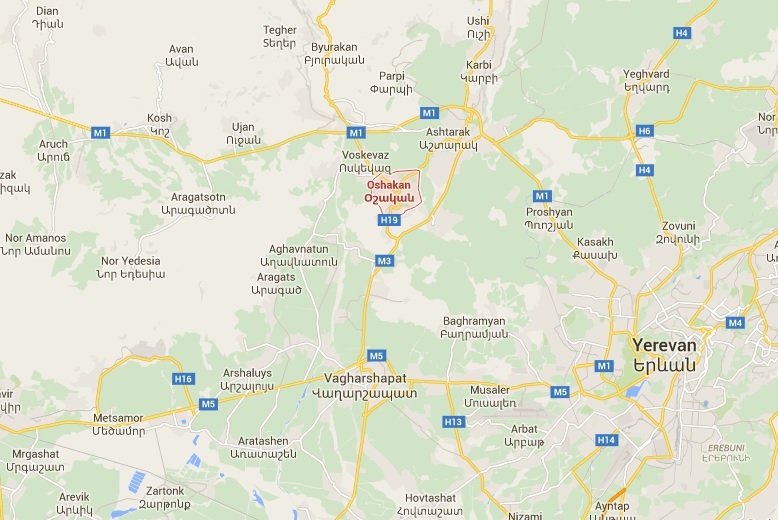 Oshakan is one of the main touristic places in Armenia and a sacred place for Armenians. Many people wonder, what does the word “Oshakan” mean? It is translated as “a miracle in front of eyes”. The legend says, that when Noah can down Mount Ararat, he saw a village free of water. It was a real miracle, which gave name to the village. 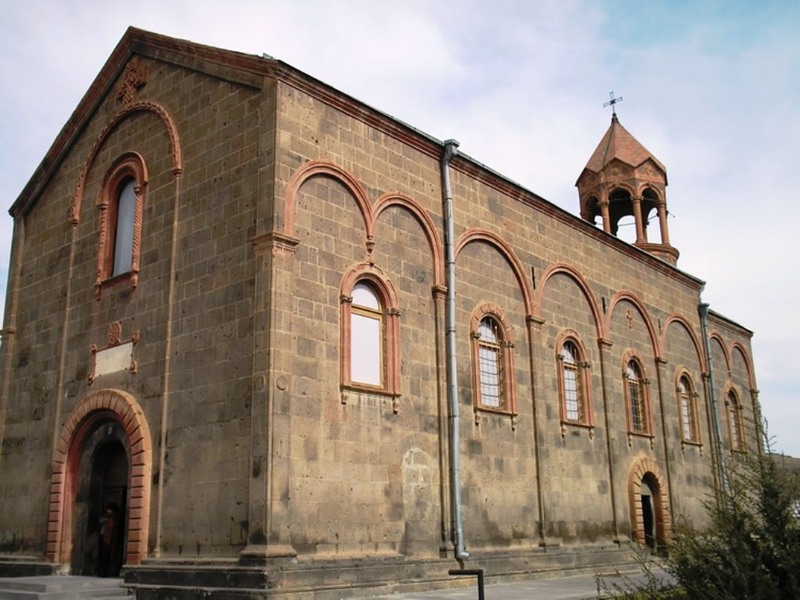 Oshakan is famous for its church, where the creator of Armenian Alphabet, Mesrop Mashtots, is buried due to the duke Vahan Amatuni’s efforts. 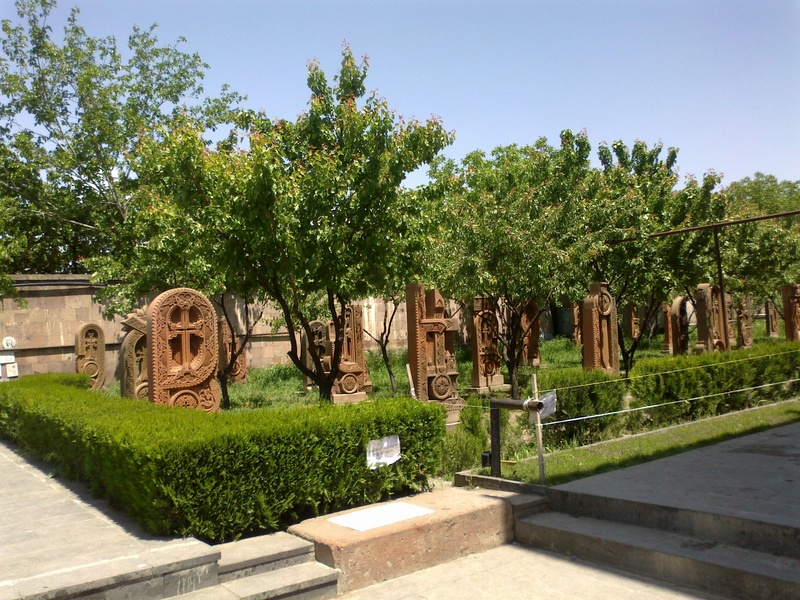 Armenians are sure, that they survived as a nation during centuries thanks to the alphabet, so Oshakan is a place of pilgrimage for Armenians. Mesrop Mashtots was the one who translated the Bible into Armenian. He had a number of pupils, with whom he preached Christianity in Armenian villages. After his death, in 443 a chapel was built in Oshakan, and Mesrop Mashtots’s body was taken there and buried. At the end of 19th century, on the place of this chapel, a church was built by Katholikos George IV. The crypt of Mashtots is located under the altar. The church is decorated by beautiful frescoes by H.Minasyan in 1960s. On the eastern side of the church a bell tower is situated, which is a unique piece of Armenian architecture. On the 1600th anniversary of Mesrop Mashtots’s birth, in 1962, a monument was erected in Oshakan. It has a form of a huge book, on the left page of which you can see a carved alphabet. Oshakan is rich with other architectural monuments. A lot of monuments were found in the various parts of the Didi-Kond hill. On the top of the hill remains of a castle, dated by 7th to the 5th cc B.C, were found. Not far from the church there is a bridge, built in 1706. Here you can also find tombs that date back to the Iron Age. 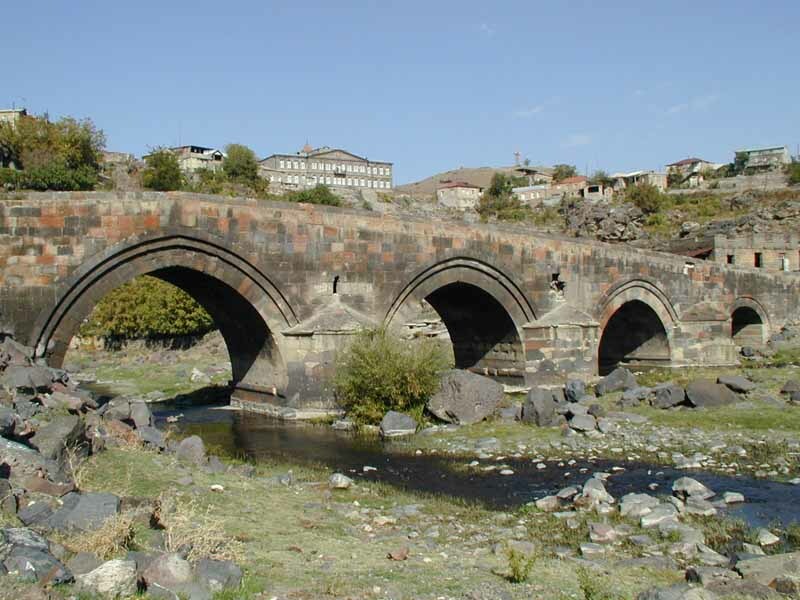 Around Oshakan a few chapels of 8th century are situated – Apostol Thaddeus, St. Gregory, St. Sargis, St. Astvatzatsin, Tukh Manuk. Village Oshakan is famous for its delicious fruits, so the best months to visit it are August and September. If you happen to be there on September 1st, you can see 1st grade pupils, learning their first letter near the tomb of Mesrop Mashtots.